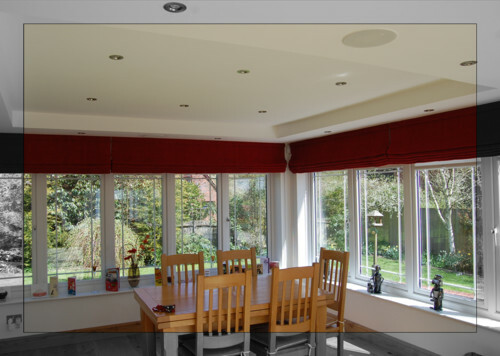 We were approached by an existing customer to provide an audio system to compliment the design of the refurbishment of a large kitchen and dining room. Flush fitting KEF in-ceiling speakers were chosen to provide a discreet fit and finish. Great care was taken in aligning the downlights and speakers. The system electronics were concealed within a kitchen cabinet away from view with adequate ventilation to dissipate heat generated by the amplifier and Sky receiver.